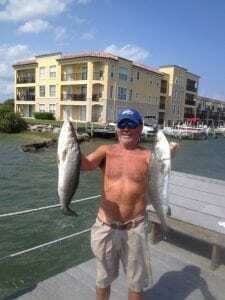 Doug Cooper chose to throw a few Fishbites out in North East Florida near Crescent Beach Flats on the oyster bars and came up with dinner. He was using the Chartreuse EZ Shrimp on the bottom and had a pretty good Sunday. Probably has some leftovers for lunch today!